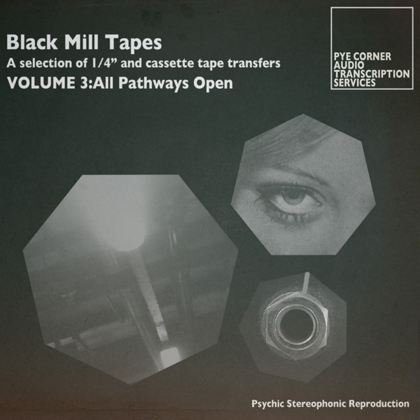 This entry was posted in Music, Our Head Technician, Technical Notes and tagged Album, Black Mill Tapes, music, PCA, pca003, tape, technician, The Advisory Circle, the magic number, Volume 3 by Pye Corner Audio. Bookmark the permalink. A very productive set of tapes, it seems. Between this & the upcoming Belbury, I can safely say “all is well with the world”. Oh fab stuff! I am tingling, as I often have BMT2 on repeat when I’m faffing about… especially ‘Toward Light’. BMT2 was a definite advance in melodic & sound quality on the already great BMT1, so I have high hopes of this new release. Ooh, lovely. I listen to Vols 1 and 2 on the tube a lot on the way to and from work. It gives everything a bit of a Quatermass vibe. Any chance of showing this lovely cover (and the early ones, for that matter) to full effect in vinyl editions?